Home » Current Events » New Personal Development Chabura Starting: Don’t Miss this Opportunity of a Lifetime! 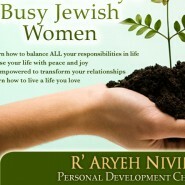 New Personal Development Chabura Starting: Don’t Miss this Opportunity of a Lifetime! 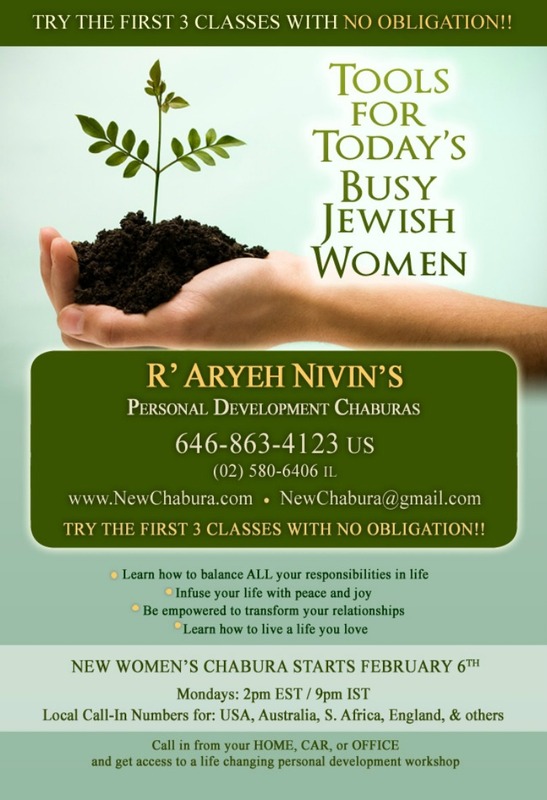 If you’ve been following this blog for a while, you know how HIGHLY HIGHLY HIGHLY I recommend Rabbi Nivin’s life-transforming Personal Development Chabura. Well, great news! A new session is starting this coming February 6th. And more great news! The first 3 classes are 100% free with no obligation to continue, and all JewishMOM.com readers who register for this free trial will automatically enter the raffle to win a free 12-week session (worth $150). Click here to learn more… Or you can read the testimonials written by me and the husband of another participant that appear in the 3 related links at the bottom of this post. I registered for the three week trial tonight by phone, but how do I get entered for your raffle? I think I missed a detail somewhere! Thanks!